(1) They fastened My feet with a rope and dragged Me over the stepping stones of the staircase, down into a filthy, nauseating cellar. (2) They took off My clothing and stung My body with iron joints. (3) They attached a rope around My body and pulled Me along on the ground, from end to end. (4) They hanged Me on a wooden piece with a slipknot until I slipped out and fell down. 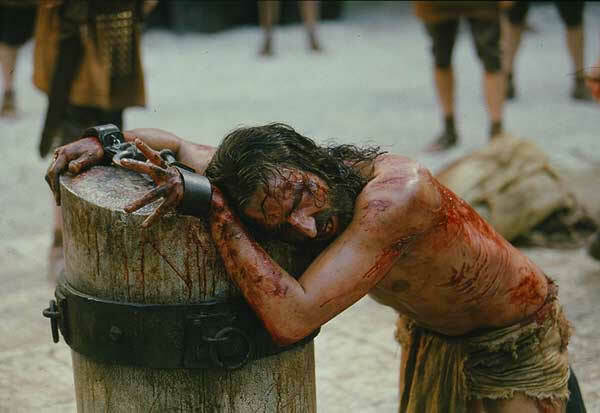 Overwhelmed by this torture, I wept bloody tears. (5) They tied Me to a post and pierced My body with various arms. (6) They struck Me with stones and burnt Me with blazing embers and torches. (7) They pierced Me with awls: sharp spears tore My skin, flesh and arteries out of My body. (8) They tied me to a post and made Me stand, barefoot, on an incandescent metal-sheet. (9) They crowned Me with an Iron crown and wrapped My eyes with the dirtiest possible rags. (10) They made Me sit on a chair covered with sharp pointed nails, causing deep wounds in My body. (11) They poured on My wounds liquid lead and resin and, after this torture, they pressed Me on the nailed chair, so that the nails went deeper and deeper into My flesh. 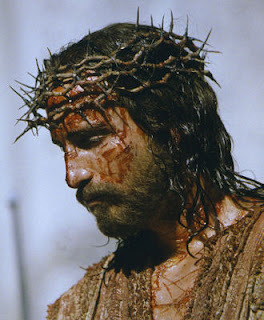 (12) For shame and affliction, they drove needles into the holes of My uprooted beard. Then they tied My hands behind My back and led Me walking out of prison with strikes and blows. (13) They threw Me upon a cross and attached me so tightly that I could hardly breathe anymore. (14) They threw at My head as I lay on the earth, and they stepped on Me, hurting My breast. Then taking a thorn from My crown they drove it into My tongue. (15) They poured into my mouth the most immodest excretions, as they uttered the most infamous expressions about Me. "My daughter, I desire that you let everyone know these FIFTEEN SECRET TORTURES, in order that everyone of them be honored." "Anyone who daily offers Me, with love, one of these sufferings and says with fervor the following prayer, will be rewarded with eternal glory on the day of judgement." "My Lord and My God, it is my unchangeable will to honor You in these FIFTEEN SECRET TORMENTS whn you shed Your Precious Blood: As many times as there are grains of sand around the seas, as grains of wheat in the fields, as blades of grass in the meadows, as fruit in the orchards, as leaves on the trees, as flowers in the garden, as stars in the sky, as angels in Heaven, as creatures on earth. So many thousands of times may You be glorified, praised and honored, O most love-worthy Lord Jesus Christ - You Holiest Heart, Your Precious Blood, Your Divine Sacrifice for mankind, the Holiest Sacrament of the Altar, the Most Holy Virgin Mary, the nine glorious choirs of Angels and the Blessed Phalanx of the Saints, from myself and everyone, now and forever, and in the eternal ages. In like manner, I desire, My dear Jesus, to give You thanksgiving, to serve You, to repair and atone for all ignominies, and to offer You my soul and body as Your Possessions forever. Likewise, I regret all my sins and beg Your pardon, O my Lord and my God. And I offer You all the merits of Jesus Christ to repair everything, to obtain a happy dying-hour and the deliverance of the souls from Purgatory. This prayer I desire to renew at each hour until my death O lovable Jesus. Sweet Savior, fortify my resolution and permit not that neither wretched men nor Satan destroy it. Amen."